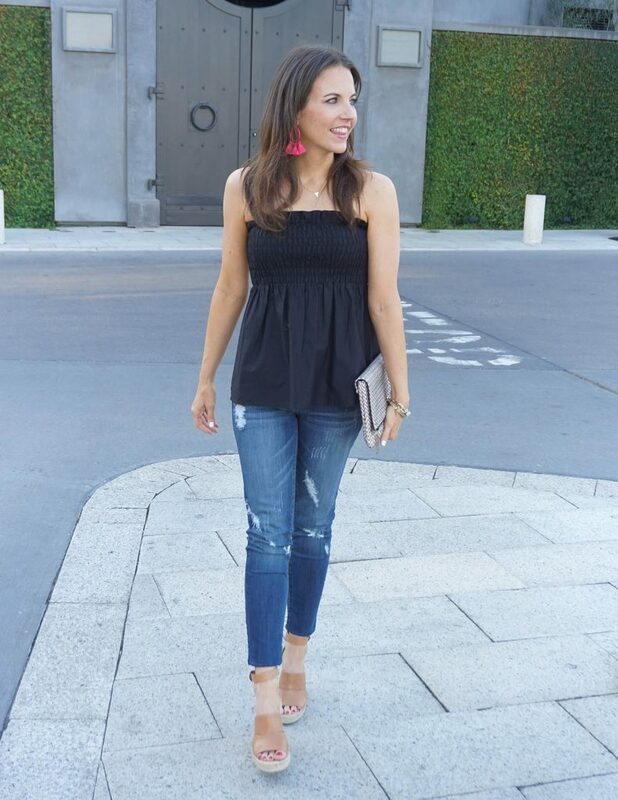 We are officially starting to get those hot summer nights, so I wanted to share a casual Summer outfit idea perfect for meeting friends for an evening cocktail. 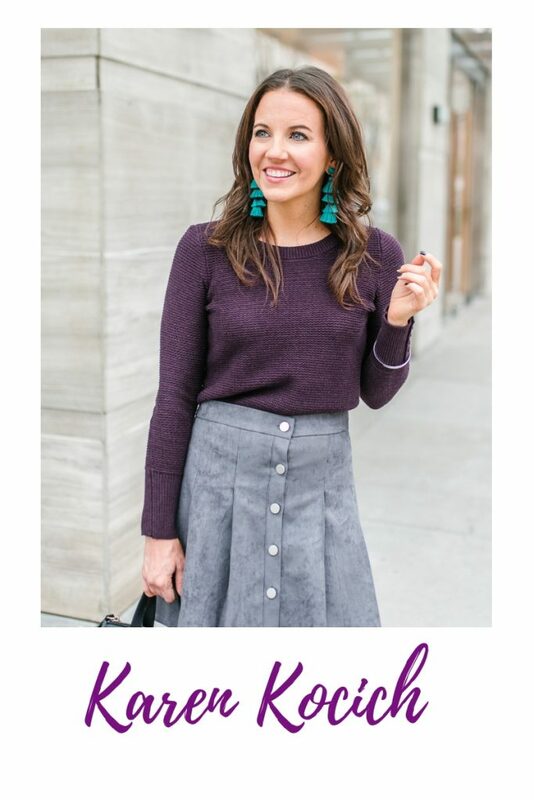 My favorite part of this look is these gorgeous pink statement earrings. They are the perfect pop of color, a fun design, and lightweight. Bonus, they come in at $13. Since I love wearing black, they will be the perfect addition to many of my outfits this summer. I’m always on the hunt for lightweight tops for summer. The material on this bandeau top is perfect for the heat. It breathes, but it’s not see through. The stretch panel makes this top a little more comfortable and gives you more ease of movement than other bandeau styles. Cognac brown wedges were the perfect compliment to the black and pink and add a little bit more color to the outfit. I went with wedges for a more casual look, but you could easily dress this whole look up with some block heel sandals. Beautiful summery look! I love the bright pink earrings! You are looking so beautiful in this top. And the pink earrings are just fabulous. That’s the perfect summer top, and I love your earrings too! What a beautiful outfit! The off shoulder top is gorgeous and those wedges simply perfect! Thanks for hosting the party. Great summer look. It’s exactly what the summer calls for Karen!! such a fun look for summer, the perfect date look. 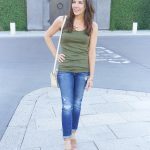 I agree that this is the perfect summer top! Love the clutch and wedges too. Thanks for the link up Karen! Great casual outfit! Love the smocked bandeau top and how you styled it.